Ric Hall submitted the details of a solved mystery over a bronze maple leaf clasp on a RCMP Long Service Medal. Sergeant Dave Strachan, a member of Surrey Detachment, is also a member of the Seaforth Highlanders and assists with their museum. 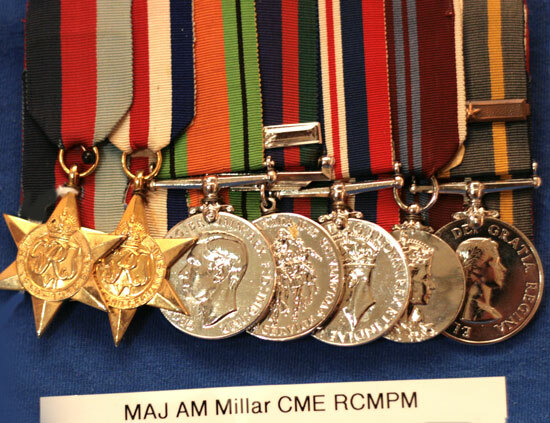 He came across two sets of medals in the Regiment’s museum and they both had the RCMP LSM as part of the grouping. One of the RCMP medals had a bronze clasp with star and the other a bronze clasp with maple leaf. Sergeant Strachan was asking why the maple leaf? He had never seen the maple leaf used on a RCMP clasp for the LSM. I was stumped as well. I did some checking and came up blank. I got a hold of Veteran Joe Collinson in “K” Division and he provided the answer to the puzzle. Both the members had served in the BC Provincial Police and switched over to the RCMP in 1950. 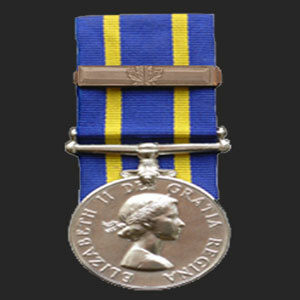 The medal with the maple leaf and clasp indicates that a police officer had service in one or more police forces and was entitled to wear the maple leaf clasp. I did not know that! Alexander Manley Millar, Regimental # 16325 – ex-Sergeant Major: died at 71 years of age, March 10, 1980 at North Vancouver, BC. He joined the British Columbia Provincial Police on March 29, 1935. He had previously joined the 1st Battalion Seaforth Highlanders of Canada on November 2, 1925 and had risen to company Sergeant Major by November of 1932. While with the BCPP he was stationed at Golden, Barkerville and Williams Lake Detachments before leaving that force on November 30, 1939, to join the CASF (Seaforths) at the outbreak of WWII hostilities. During the war he rose to the rank of Major and served with the 2nd Glasgow Highlanders of the 15th Scottish Division and the 2nd Seaforth Highlanders if the 51st Highland Division, in Holland, France and Germany. Upon returning to Canada he rejoined the BCPP on November 1, 1945 and subsequently stationed at Prince George, Clinton, North Burnaby and North Vancouver Detachments. He had been promoted to Corporal by the time the RCMP took over the BCPP and was one of those that enlisted with the Force on August 8, 1950. After a month’s training at “Depot,” he was posted to “E” Division and served at North Vancouver, Quesnel and Cloverdale Detachments. On November 1, 1953 he was promoted to Sergeant, and in October of 1956 was posted to “K” Division as Calgary Sub-division Section NCO (west). He was promoted to Staff Sergeant on May 1, 1957 and May 1, 1963, became “K’ Division HQs Sergeant Major. He remained in that position until retirement, March 30, 1966. 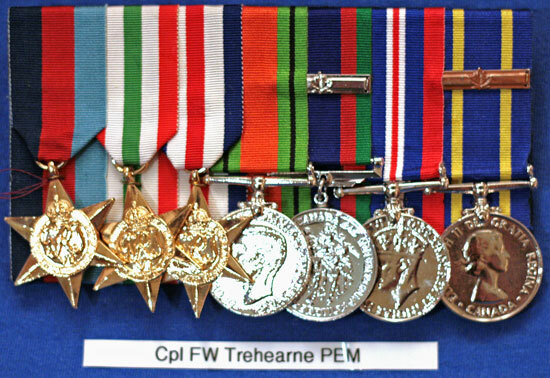 Francis William Trehearne, Regimental # 16570 – ex Staff Sergeant Major: died at 77 years of age, January 11, 1999. He was born July 13, 1921, and joined the Force August 15, 1950, when the BCPP amalgamated with the RCMP. He was posted to “E” Division at Penticton. He took his discharge July 23, 1952. He re-engaged into the Force and was posted to “K” Division at Red Deer, Coutts, Innisfail, St. Paul, Blairmore and Edmonton. He retired December 31, 1970. He was promoted to Corporal, May 1, 1958; Sergeant November 1, 1964; Staff Sergeant, June 1, 1970; Staff Sergeant Major, November 1, 1972. He also served in the Canadian Army from January 17, 1940 to August 17, 1945.